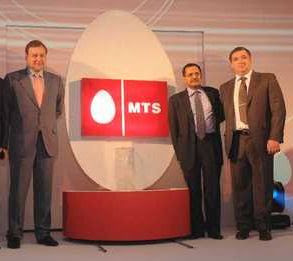 MTS India launches its operations in Andhra Pradesh circle on 12th May 2010 with CDMA Technology. MTS offers the lowest call rates, with a basic Plan of 1p/4 sec for ON NET (M2M) , 1p/2sec for OFF NET (M 2 Others), 1p/1sec for STD calls. MTS also announced the promotional packs of Rs. 46,59,99,98,159, msaver packs, SMS Packs. SMS Blackout Days-: 1st March – Holi, 1st August – Friendship Day,17th October – Dusshera, 5th November – Diwali and 31st December – New Years Eve. Will MTS compete with Existing operators of Andhra Pradesh? Tags: MTS India Andhra Pradesh Launch CDMA Services Tariff Plans Details SMS Packs Call charges Details of FRC 46, FRC 59, FRC 99, FRC 98,FRC 159, msaver packs, SMS Packs.